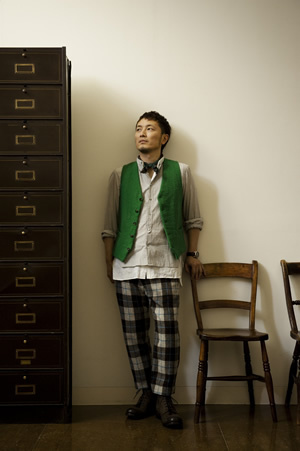 “Jazztronik” is a group by pianist Ryota Nozaki that does not have fixed members. Major debut was in June 2003, with the album “Horizon”. Latest releases are collaboration album “Bon Voyage! !” with the apparel brand Tomorrowland. Also his latest single “Bedtime Story feat. YUKI” is the main theme for the Japanese version of “Shikeidai No Elevator / Elevator to the Gallows (Original Film by Louis Malle)” starring Michiko Kichise, Hiroshi Abe, Keiko Kitagawa, Tetsuji Tamayama. His track “Samurai” in the Album “Nanairo”(2004) become one of his biggest hit worldwide and topped many DJs charts like Danny Krivit and Louie Vega. His fame spread globally with “Samurai” and became the best known Japanese DJ in the world. He has been booked to festivals like Southport Weekender, and also toured cities like New York, Paris, London, Manchester, Rome, Seoul, Shanghai and countries like Estonia, Slovakia, Croatia, Ireland, etc asa a DJ as well as with his band. His regular DJ parties in Tokyo like “Jazztronica! !” @ The ROOM, and “Love Tribe” @ AIR TOKYO is always crowded with Tokyo’s VIPs and party people.